This is a program that has been kicking around for a while on my HDD, but kept forgetting to post it until now. 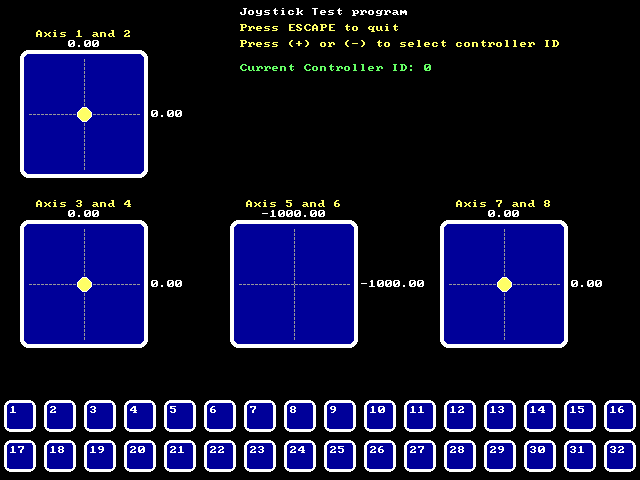 It can be used as a diagnostic to check joystick/gamepad operatation with FreeBASIC. Up to 8 axis and 32 buttons supported.